Nickelodeon Slimefest is back for its second year, there's so much in store for Nick fans this year! 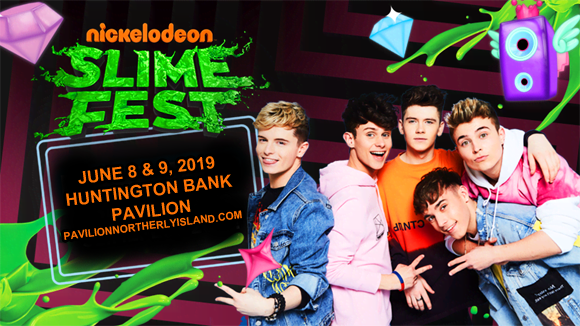 Coming to Huntington Bank Pavilion at Northerly Island on Saturday 8th June 2019 for the first in a two-day event for the whole family, Slimefest 2019 will see music from Pitbull, Bebe Rexha, JoJo Siwa and T-Pain, plus exciting slimetastic games and immersive experiences! It's gonna be wild! Following the hugely successful launch of Nickelodeon's SlimeFest in the US last year, the two-day immersive kids event is back in 2019 for even more fun! This year, there will be performances from Grammy Award-winning rapper Pitbull, multi-platinum-selling singer-songwriter Bebe Rexha, Nickelodeon YouTube star JoJo Siwa and singer and rapper T-Pain! There's also the chance to meet your favorite Nickelodeon stars, including Annie LeBlanc (Annie vs Hayley), Scarlett Spencer (Cousins For Life), Dallas Dupree Young (Cousins For Life), Ella Anderson (Henry Danger), Riele Downs (Henry Danger), Owen Joyner (Knight Squad) and Daniella Perkins (Knight Squad), as well as heaps of games, activities and immersive experiences, plus (of course) heaps of SLIME!! !